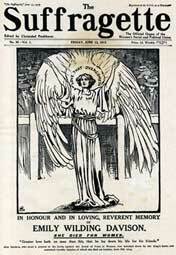 Over the last month, many people have been marking the centenary of Suffragette Emily Wilding Davison’s death. 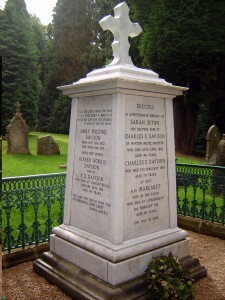 Davison died in June 1913 after falling under Anmer, King George VI’s horse, at the Epsom Derby. She walked on to the racecourse as the horses thundered past, apparently with the intention of pinning a scarf to his bridle so that the Votes for Women message would be seen by the thousands of racegoers (including the royal family) and, through press and newsreel coverage, by millions beyond Epsom. Davison tragically misjudged the speed of the horses, and she died as a result of the injuries she received when Anmer hit her at full speed. While her death was an accident rather than suicide, she has become famous as the martyr of the campaign for women’s votes. To mark the anniversary, Davison’s story was told by Clare Balding in Secrets of a Suffragette, an excellent Channel 4 documentary, which used forensic techniques on newsreel footage to chart Davison’s final steps and the fatal impact from Anmer. In Morpeth, where Davison is buried, the Emily Inspires group organised a range of memorial and celebratory activities, including workshops, music, and a 100-strong bicycle ride. Her story also inspired various dramatic reinterpretations, including Tim Benjamin’s opera Emily, which premieres in Todmorden this week, and Kate Willoughby’s touring play To Freedom’s Cause, which I was lucky enough to see at the Tristan Bates Theatre in London. Here, Davison was presented as a fun-loving, vivacious woman who was dedicated to improving the lot of her gender. Willoughby’s portrayal emphasised her humanity in a way that is often lost in the official hagiography, with the rest of the cast playing off her to show the connections of family, friendship, and the WSPU that informed her decision to walk on to the racecourse. Tim Bennett’s portrayal of Anmer’s jockey, Herbert Jones, was similarly compassionate, as we watched a man who was catapulted, against his will, into history trying to deal with this tragedy. This was an intense, moving, and insightful play which deserves a wide audience. As a sports historian, I’ve found the process of reinterpreting Davison’s death to be fascinating: and when we put these reinterpretations alongside some other events that have gone on recently, we can see some possibly jarring juxtapositions. Davison chose a sporting event for her protest. The WSPU had done this before, from sailing a boat along the course of the University boat race in 1908 to their arson attacks on gold club houses, cricket pavilions, and racecourses. 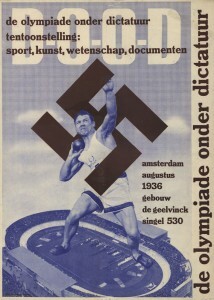 Like many other political organisations since – including the Anti-Apartheid Movement, Black September in 1972, and trade union and Jewish groups opposed to the 1936 Olympics – the WSPU targeted sport because their attacks were bound to be noticed. Sporting events, then as now, have large audiences and press coverage, and any disruption to the event gets attention. Most such disruptions then generate a scripted knee-jerk reaction from people who think that sport should be apolitical, and this has been what has been so fascinating over the last month. Just as many people were retrospectively praising Davison for her bravery and risk-taking in a political cause, so we saw 2012 boat race protester Trenton Oldfield facing deportation, and the instant ‘snuffing out’ on anti-gay marriage protests on the tennis court at Roland Garros in the French Open final. Then, over the last week, we have witnessed the protests in Brazil that have focussed on the expense of hosting the Confederations Cup, the 2014 World Cup, and the 2016 Olympic Games. How we react to these different protests depends, of course, on our own politics. From my liberal perspective, I share more ground with Trenton Oldfield (anti-elitism) and Emily Davison (pro-democracy and sexual equality) than I do with the anti-gay marriage protesters in France, who I was happy to see ‘snuffed out’. However, that’s too obvious to be worthy of note. Instead, we need to recognise that there is a long history to political disruptions of sporting events, and that what one generation sees as a loathsome expression of trying to politicise sport, a later generation can see as the turning point in a struggle.